Dyonisos is the one-man band of multi-instrumentalist Dan Cowen. Although this is apparently a debut release, Dan's actually been around for quite awhile. I remember listening to his stuff on the old MP3.com web site a few years ago and he already had several independent albums released and oodles of songs available for download back then. Although at least some of the songs from those earlier albums appear on this new, self-titled release, they've been chosen carefully to fit into a concept. While the music is heavily influenced by Pink Floyd, especially the latter day Floyd, lyrically the themes Cowen explores are more personal in nature, and because of that, he's able to achieve notable emotional moments throughout. The story follows the narrator on his journeys around the globe, and the changing nature of a relationship he has with someone else as they encounter each other in different parts of the world. Musically, Cowen's tunes are buoyed by spacey textures and sound effects with moody piano; reverbed and sometimes processed vocals; haunting, wistful melodies and gorgeous, soaring guitar leads. The focus is more on hitting the right emotional note to support the words rather than being freaky or out-there, but it's by no means bland. 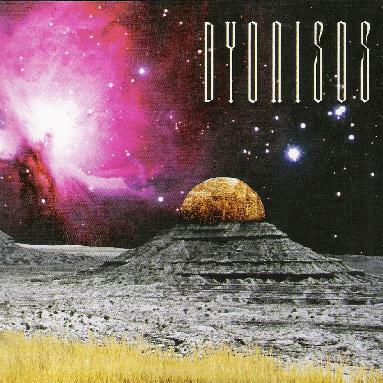 The Dyonisos sound leaves room for exploring different textures and styles, and can move from driving rockers like Total Eclipse to ambient, symphonic style pieces like the absolutely beautiful Haiku, with elements of slightly more out there styles placed carefully, to keep things fresh. If you're a fan of Pink Floyd, or bands such as The Alan Parsons Project, you'll no doubt find plenty here to enjoy. The good thing is, Cowen has numerous songs available for listening to and downloading on his web site, so you can check out the Dyonisos sound for yourself. I recommend that you do! For more information you can visit the Dyonisos web site at: http://www.soundclick.com/dyonisos.